!! 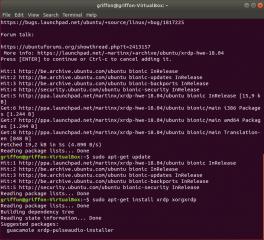 Better fix for xRDP issue in Ubuntu 18.04.2 !! We have provided a quick fix (and dirty fix) through our standard scripts (see links below). This patch was really a quick way to restore the xRDP functionality…. This fix was really a quick and dirty fix as we have to downgrade some of the Ubuntu 18.04 packages. This situation might not be acceptable or working for some users. 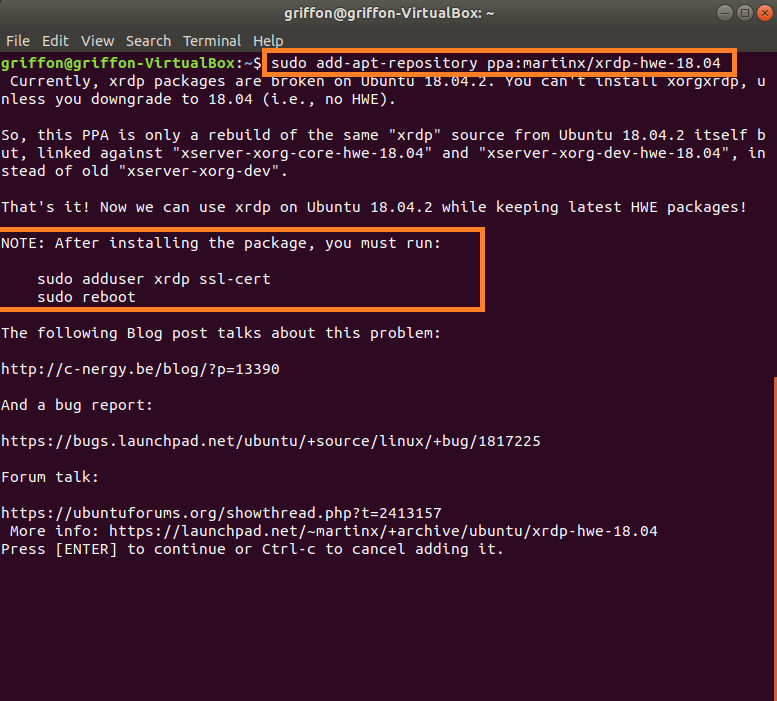 Luckily, since today (I think), thanks to Thiago Martins, a new “unofficial” xrdp package has been generated which can be run on top of Ubuntu 18.04.2. The package has been rebuilt and take into account the fact that newer xserver-xorg-* packages exists on Ubuntu 18.04.2. Thiago Martins has recompiled xrdp and xorgxrdp packages and has setup a ppa repository from which you can download these updated version of the packages. 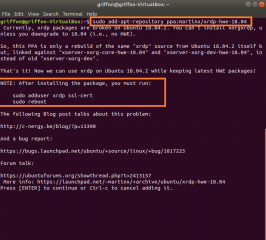 If you want to install the version 0.9.5 of xRDP on your Ubuntu 18.04.2, you can visit this page (https://launchpad.net/~martinx/+archive/ubuntu/xrdp-hwe-18.04) where the instructions to get the new packages can be found. If everything is fine, you should be able to perform a remote connection with no other actions (even if the first screen ask you to perform some additional actions). Here, we have performed a manual installation. This means that all the post installation actions performed by the script (Std-Install-Xrdp.sh) are not processed and you will need to perform the post installation actions manually. After updating your repositories, you can try to re-run the previous script version (Std-Install-xrdp-0.5.1.sh) with or without parameters. So, you will have to download the script first from here. This is again a quick published post with a quick fix. We are really hesitating in publishing a new version of the script (Std-Xrdp-install) as the new Ubuntu 19.04 will be released shortly. 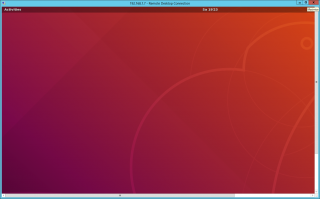 Based on our first experimentation with Ubuntu 19.04, a simple standard xrdp installation will work. However, the sound redirection feature will not work because some of the packages used by the scripts are not (yet ?) available on Ubuntu 19.04 repositories. …otherwise, the xrdp will not be able ro read the certificates. Hey buddy! Something really cool just arrived on Ubuntu 18.04.2! And enjoy a 3D Enabled QEMU 3.1 on Ubuntu 18.04! I’m pretty sure that VDI solutions will be fast with this! Especially the NoMachine (which I just enabled GPU acceleration, inside of a VM, without GPU Passthrough). 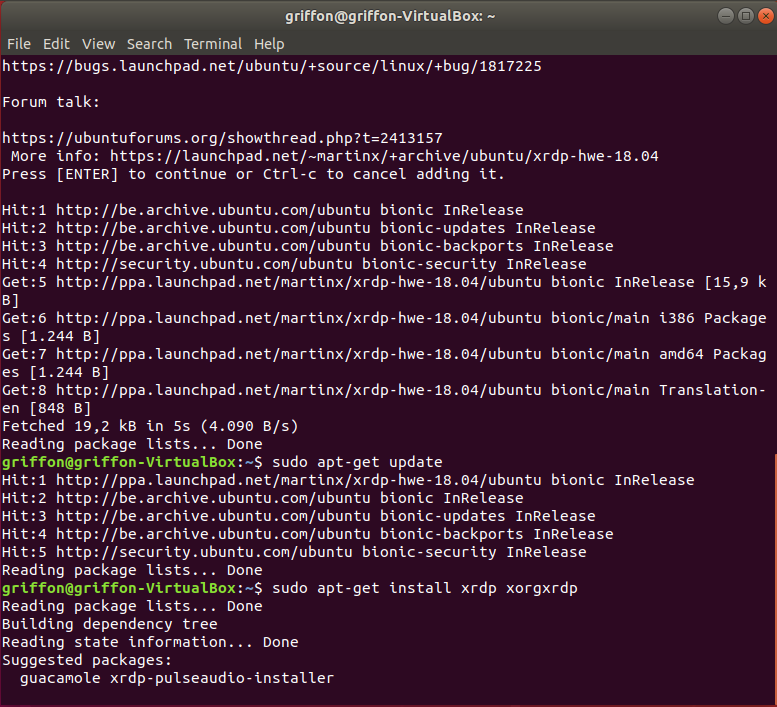 So, I’m wondering here… Do you know if xrdp will benefit from a VM powered by Virgil 3D? Or it doesn’t really matter since it doesn’t share the main VM’s desktop session (like NoMachine does)?